In recent years, power electronics have had a decisive influence on the technology of electrical energy generation, distribution and conversion. Modern semiconductors enable electrical energy to be controlled and converted rapidly and safely with low losses. 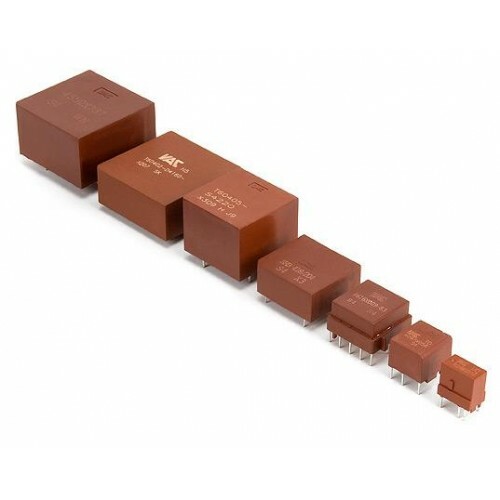 Key contributors to progress in this field are turn-off power semiconductors like IGBTs (insulated gate bipolar transistors), MOSFETs (metaloxide semiconductor field-effect transistor) and GTOs (gate turn-off thyristors). VAC products are significant contributors in maintaining efficiency and safety in semiconductor switching and low-loss power transmission. Higher switching frequencies, higher blocking voltages and switching power influence the way a semiconductor is activated and controlled to allow for safe and simple switching. Drive transformers ensure galvanic separation while also supplying the switching signal and /or the energy for the semiconductor drive circuit.